"She will be greatly missed by so many people." "Despite her obvious discomfort she had a real sparkle in her eyes when she spoke about the chimps and The Gambia." "Stella's life may have been cut short but she achieved so much that the rest of us feel humbled." "Stella created a sanctuary for chimpanzees at a time when no one thought it could be done, at a time when no one thought it necessary, and she made it work. She was an inspiration to us all, and she will be greatly missed." Stella with Daniel, her youngest. "…an amazingly full and productive life." "The Gambia has benefited from her extraordinary dedication to her causes of animal welfare and more widely the welfare of Gambians." 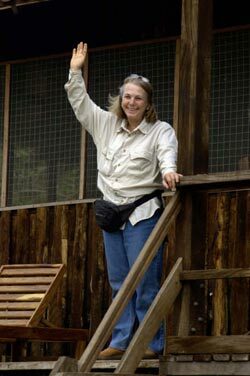 "..the world has lost a compassionate pioneer of the highest order and the animal kingdom a true friend…Stella was way ahead of her time with her chimps and leaves an on-going legacy for every real thinking person to pay strong heed [to]." "… has left an indelible and enduring legacy in that lovely country." "What great Stella did in the Gambia at large, pens cannot write it down from start to end." "She was the first to provide a solution to the growth in numbers of trafficked chimps in Africa and for this she should be greatly commended. We are in admiration for the difference she has made to the lives of numerous animals over the years and to the conservation and welfare of wild animals generally"
"I am from Kudang the Gambia, my village is a direct beneficiary of this great woman['s] help." "What an incredible contribution she made to the world. You must all be so proud of her." "…influence on my life has been so great that hearing this news makes my heart break…..I will never forget her gentle smile, the passion for helping conserving wildlife, and the tons of love that she had for everyone around her." "..has left an indelible and enduring legacy in that lovely country." 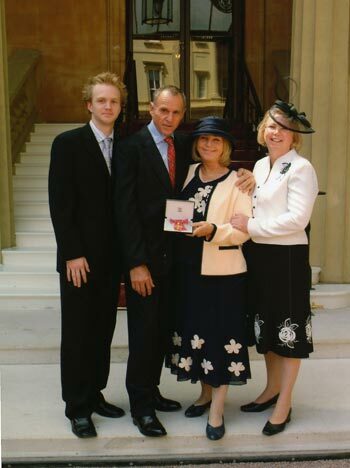 "It's good to know that Stella's tremendous work was recognised with her OBE, and her memory will live on in the Rehabilitation Centre for the chimps and the Horse and Donkey. She was clearly a remarkable and inspirational person." "... but what great achievements... I'm sure Eddie [Stella's father] was proud." 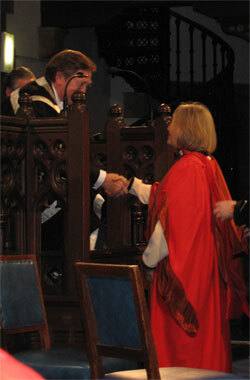 Stella receiving her honorary Doctorate. "…amazed at how rich and fulfilling her life must have been. … Stella's life is a true inspiration to so many." "Stella will be very sorely missed by all who knew her"
"We have such wonderful memories of Stella and always had a great admiration for what she achieved in The Gambia." "...words can't describe how helpful, fun and kind she always was"
"She was a great woman and great pioneer and seemed to have such a wonderful family - both human and chimp. Her book was remarkable. She will be missed by all of us. They don't make Stellas any more." "Stella is the most remarkable person I have ever met. She deserved a much longer life. Yet she still achieved far more of the things that really matter, and improved more lives - animal and human - than most of us could ever hope to in several of our more mundane lifetimes." "...she was a truly wonderful and remarkable woman." "…and will never forget the boat trip to see the chimps with her. A truly inspirational woman …"
"I feel very lucky to have been able to talk to and meet Stella and see what a huge difference she has contributed to the Gambia, … Stella is undoubtedly one of the most amazing people I have had the pleasure of meeting. " "I am proud to have known her." "Stella is truly someone who did not die an unlived life." "...Stella means Star in Latin, your Stella's star will shine bright in the world as she has left such a wonderful legacy." "…she was a truly wonderful and remarkable woman." "I feel very lucky to have been able to talk to and meet Stella and see what a huge difference she has contributed to the Gambia, … Stella is undoubtedly one of the most amazing people I have had the pleasure of meeting." "I will always remember the trips across to the chimps in the boat and Stella's love and knowledge about them, her extended family. " 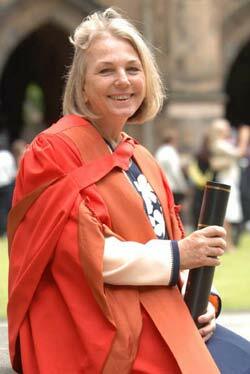 "… she had achieved a great deal in her lifetime and done so much good for so many who could not protect themselves … chimps, donkeys and horses"
"Her contribution to so many areas of life in The Gambia has been so generous and effective that she will be greatly missed." "Stella will be deeply missed by all animal welfareists but particularly so by us African's as she dedicated her life to bettering the lot of animals on this continent. " "What a great loss to both the Gambia and the world as a whole." "…she has a legacy which will live on for the good of both the Chimps and the country." "…it was a pleasure and an honour to have met Stella"
"Stella will be sorely missed by all." "It was, and is, a privilege to have had my life touched by Stella." "Stella, has left a lasting mark on this planet of ours, so many people do not, … she will always be remembered, and honoured for many years to come. She made a difference, she made the world a better place." 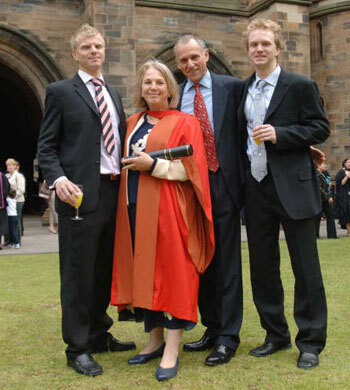 "…an exceptional and inspirational woman"
"Stella's whole life right up to her brave fight at the end is an example to us all." "Stella was a wonderful person, I was full of admiration for her and she inspired me …... she really helped to cement my feelings about development work and developing countries, …. Her compassion, outlook and sense of humour was so refreshing! 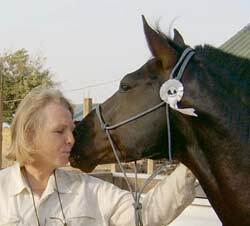 She will be sadly missed"
"Stella blazed a trail and unselfishly shared a beautiful life with so many animals and humans"
"The world was a better place for both animals and humans because of her gentle presence." 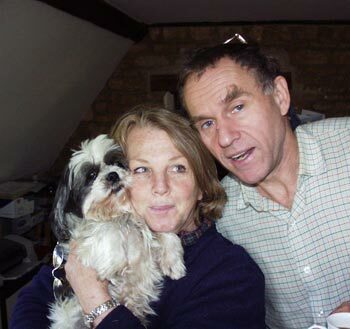 "We are grateful for everything she gave us …..Stella was of the most important people our lives and we will miss her…. We are all poorer for not having her amongst us…." 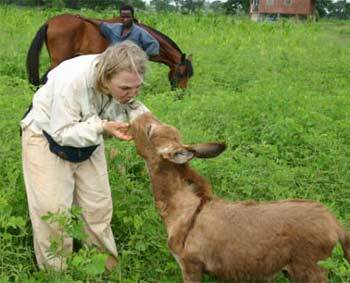 "She was one of the pioneers of PASA and her stories of the work on behalf of chimps, horses and donkeys in Gambia were always inspiring." "Je garderai d'elle l'image d'une grande dame, simple, humble mais qui a fait tellement." "Her labour of love will stay with humanity"
"Stella is vision orientated…the project she initiated are clear manifestation hat she is a hero, willing to develop our community, these project would play an immense role in the living conditions of the rural people…Stella's foot marks shall always serve as a memory in the mind of us for ever." "…she was so forward looking, strong and thoughtful about the future of the chimps and Badi Mayo and all your projects. " "…she is missed by human and chimpanzee friends spread far and wide and by those who only could read about her great work. I only wish we had met…." 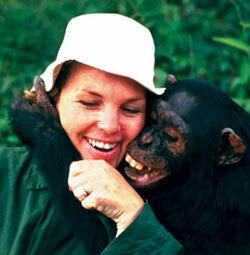 "...you committed your lives to the well being of chimps and the people around camp. The way how the chimp project became the carrier of a bigger plan for the whole neighborhood is an example of how conservation should work." "…in the 1970s she was a pioneering beacon. She invented chimpanzee rehabilitation, and only someone with her strength of will and vitality could have done so. I am so grateful to have known her..."
"Stella touched so many lives, not just chimps and other animals, but she had a very special way of touching all the people that she met. We should all be glad having had the privilege of knowing such a warm and wonderful person." "…her knowledge, love for chimpanzees and her love for people." "Hard working to a fault she succeeded in developing a great asset in The Gambia….a superb contributor to positive Gambian development…Her profound love of animals speaks volumes [for] her love of humanity itself." "..those who really deserve to live are often out lived by individuals who deserve less from life and one (myself) is left with a feeling of guilt…." "..will always remember the magical time that we spent with Stella at the camp." "I hope to visit Badi Mayo again but it won't be the same for any of us will it?" "Yes! 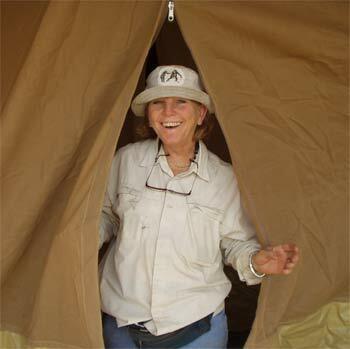 we have lost a Stella who did so much for the communities, schools individuals and even fed chimps in the wild forests. For the layman having concern for the animals in the thick forest may be measured as a meaningless venture with no earthly reward [but] Stella has left behind a treasure we should cherish, keep jealously and maintain for posterity." "We are so grateful for every thing that Stella has done for both chimpanzees and children." 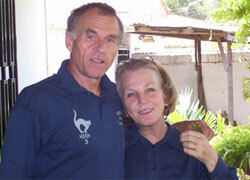 "Thank you for all the work she has done in the Gambia and for all the help given to me over the years." "….the unique and special person that she was." "I've visited many places around the world, and have met many extraordinary people, but I don't think I've ever heard anyone spoken of so quite so warmly by the people who work with them or live in the local communities. It was a massive testament to Stella as a person." "…a great loss to humanity and to our nearest relatives. 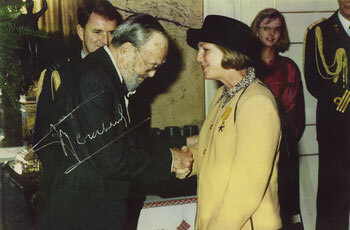 The photo (Stella with Zwockle) speaks louder than any eulogy." "What a marvellous legacy she has left, both through what she achieved and the inspiration of leadership, as well as through the many lives she touched. Stella was such fun when she came to Gombe in 1973, and it was a delight to watch her life unfold, albeit from afar. She was truly a star." 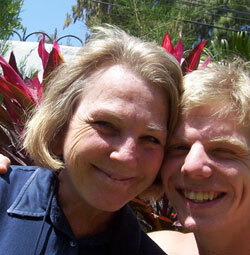 "Everyone here ……is deeply saddened by Stella's death but we will always remember her as a truly amazing individual. I feel privileged to have met such a wonderful person and to have witnessed the great work and dedication that Stella has put into the Gambia." "She was truly a wonderful person and one in a million"